As it turns out, asking other clans for help is simple when a)we've spent the better part of two years trying to make everyone nearby like us, and b)we're dealing with Chaos, which is a threat to everyone. 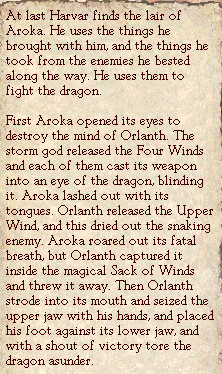 Anyway, it's storm season, and people wanted the Klanth slightly more than they wanted deathsword back. Note that instead of asking specific clans for worshippers now, we can simply call on "helpers." This gets us worshippers from the entire tribe, and there's basically no reason to ever not get helpers. 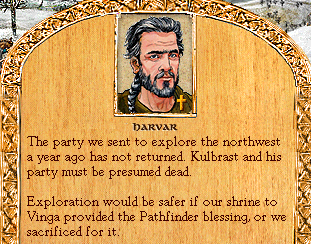 Harvar gets to do the quest again because it's basically one gigantic combat check. 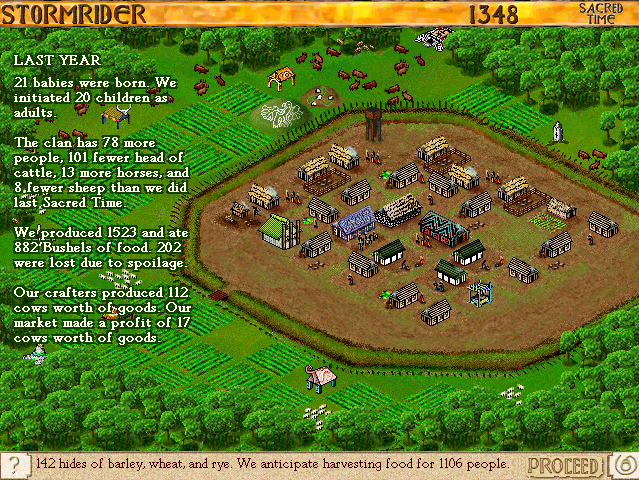 We get 80 helpers from the tribe, and of course, we're doing it for treasure. We've done this quest correctly before, so time to fast forward! The Klanth gives a bonus to charging in combat, which makes it more useful(if not as cool) as Humakt's Sword - after at, it leaves us free to try goals other than killing everyone while still getting the boost. And just as I suspected, Commander Riker is dead. We'll learn what's up with the northwest corner of the map someday, but not today. But not all the news is bad! 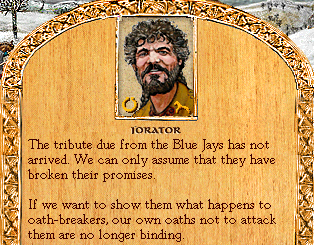 The Blue Jays apparently take their oaths less seriously than the Vostangi(seriously, I'm amazed the Vostangi are still paying us). No matter; now we have a raiding target again! Wait, why are you guys attacking us? No matter, now we can test drive the Klanth. 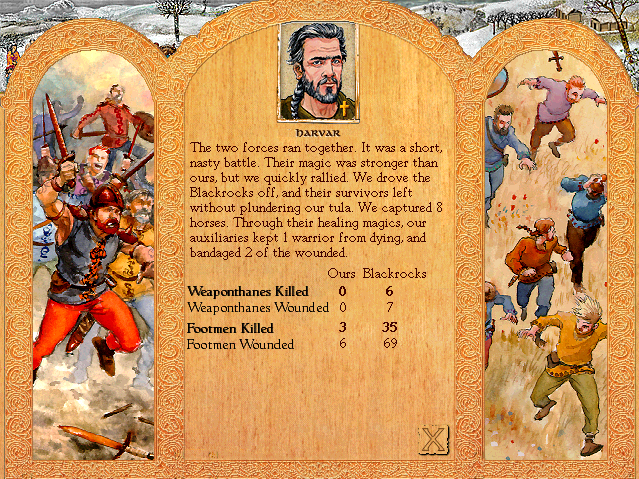 Turns out we cause massive casualties even without trying to kill as many as possible. The Eagles are those guys we allied with when they were on their way to settle their own lands, if you recall. 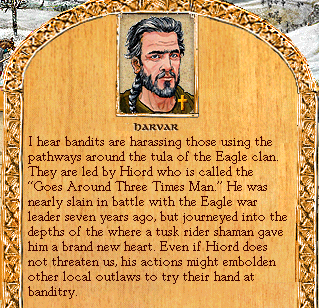 They're also apparently useless at fighting bandits. The massive drop in cows is mostly from us bribing people to stay in the tribe. Overall, not too bad of a year. 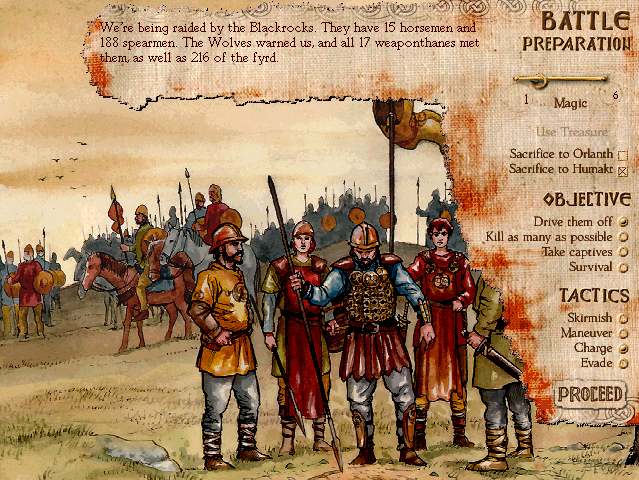 The omens are non-notable, but you may have noticed that a couple things have changed. 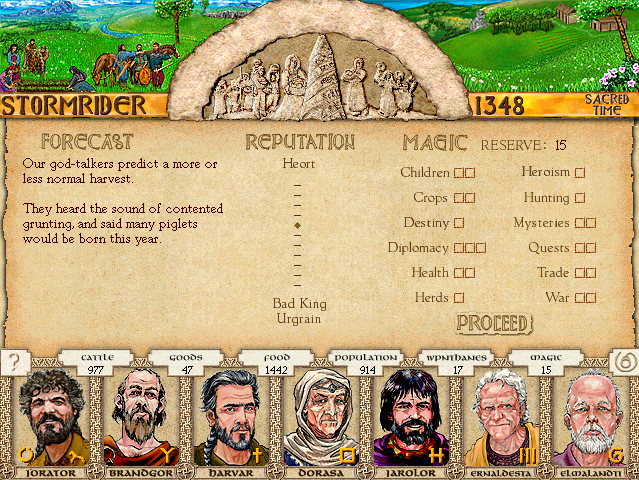 The reputation meter now goes from "Bad King Urgrain" to "Heort", and it's reset so that we're now in the middle again(well, we're technically one notch above the middle, but close enough). We also have two new categories for our magic. 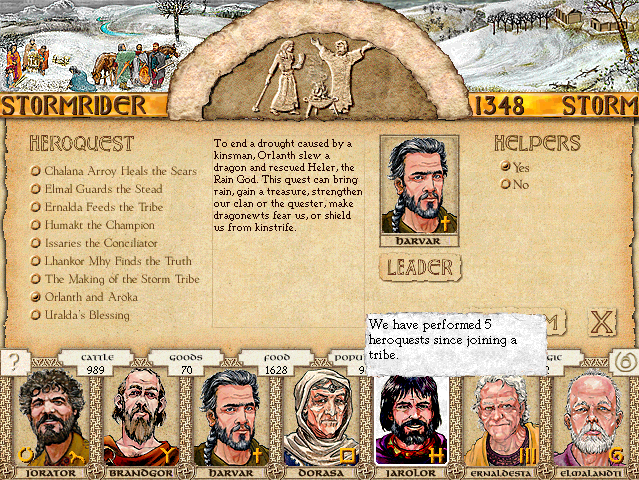 Heroism gives all of our nobles small stat boosts each year we spend in it(so we'll always put magic in it), and Destiny helps us succeed in various tribal matters(so we're always going to put magic in this too). We can also put an extra point in Quests now despite having no trickster.